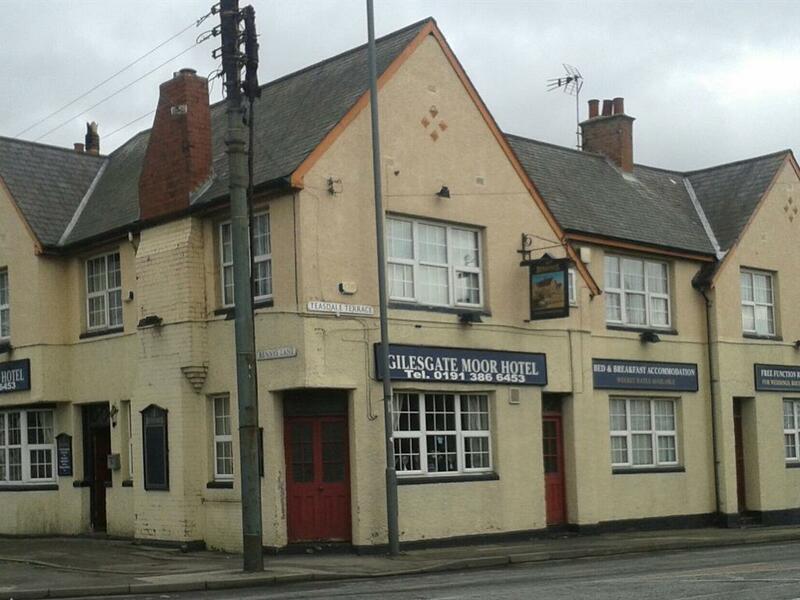 The Gilesgate Moor Hotel, is located just a little over a mile from the historic city of Durham, near to all the main bus routes to and from the city centre, also we are within 1 mile from junction 62 on the A1(M) giving easy and quick access to all parts of the region, meaning theres plenty to do and see! Our Traditional Bar Area offers a Great Selection of Beer, Lager, Spirits, Wines and Soft Drinks. Our rooms, ensuite or standard are competatively priced clean and tidy all have flat screen TV with freeview, a comfortable bed, tea and coffee making facilities and free WIFI. The tarriff also includes a cooked or continental breakfast. Breakfast is served from... 7:00am till 9:30am. There is offroad parking at the front of the building for approximately 6 cars and we can offer secure parking at the rear for cycles etc. A family run business Grahan, Wendy and staff at the Gileesgate Moor offer a warm welcome and strive to make your stay as pleasant as possible.